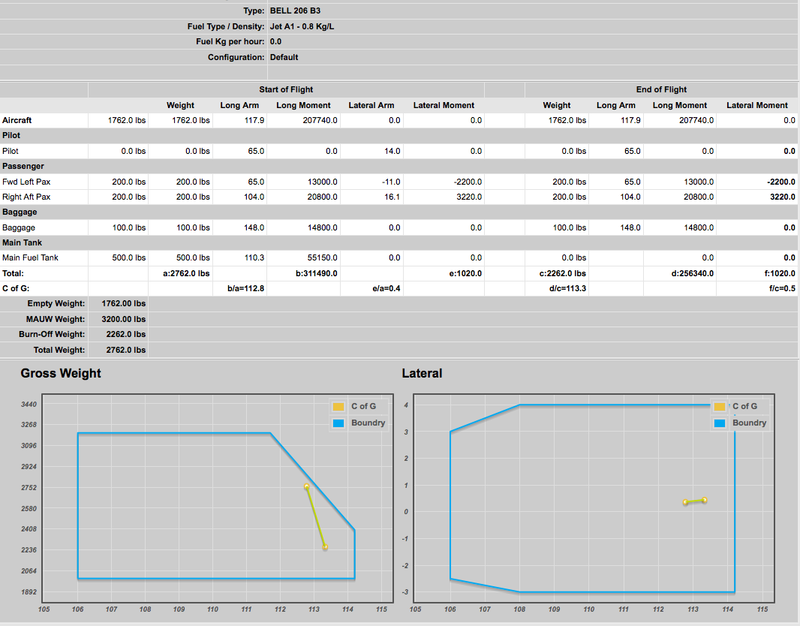 To set up weight and Balance edit the following fields in the Aircraft Configuration (model). Maximum All Up Weight. MAUW of the aircraft is entered and this is checked against flight data. Base units for the type of aircraft sets all W&B inputs will be converted back to these units - The fleet can have multiple units. Fuel Type and specific gravity of fuel is correct. Envelope for the CofG limits. Add or edit the W&B stations in the loading master tab. A station can be loaded in one ore more configurations of the aircraft. 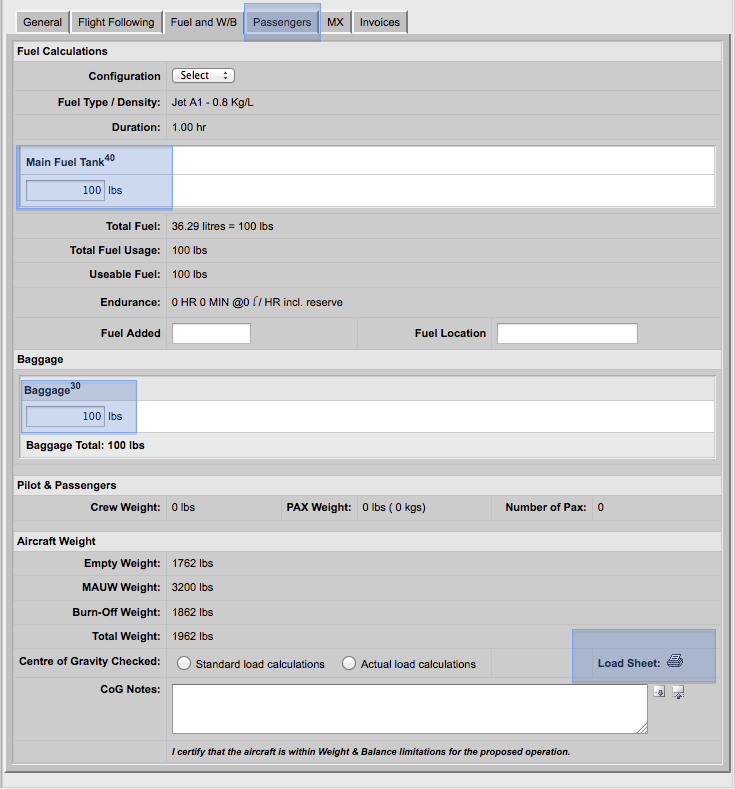 Enter the data in flights and check the load sheet.